Bsnl Broadband continues to grow as one the most popular broadband services in India with high speed facilities of upto 2 mpbs. But a large number of users of this service are vulnerable to hacker attacks because discovering and hacking the vulnerable victims of this network is shockingly simple. If you are a Bsnl broadband user then immediately assess the security of your internet connection and take appropriate steps to secure yourself. First lets see how simple it is to hack bsnl dataone broadband usernames and passwords. For this you shall need a ipscanner tool called Angry IP Scanner or nmap or anything similar. Angry ip scanner is a gui tool and is easy for newbies whereas nmap is more powerful and used by hackers. Start Angry IP scanner and goto options > ports. Type in 80 in the first ports textbox and click ok.
Then goto options > options ; in the display section select "only open ports" and click OK & Save. Now on the main screen put in the ip scan range as something 59. *.0.0 - 59. *.255.255 (for e.g. 59.95.2.3) and click the start button. And the list that shall follow next are the victims. In this example we choose the range 59.95.0.0 - 59.95.255.255. You will be surprised at the number of victims you discover.
" --open" to show only those hosts which have the specified port open. "-sS" for Tcp syn port scan. "-sV" to show the banner information of the http server running. "-p 80" to scan for port 80. "-oG -" for outputting in short greppable format. The output of nmap command is piped to the grep command to look for those lines which have the word "open" in them. This filters the nmap output and shows only those lines which have a open port 80 that is replying. sudo is necessary to run the program as root on ubuntu. If you are already root then sudo is not needed. Root privileges are needed for the Tcp syn method of port scan which uses raw sockets. C:\>nmap --open -sS -sV 59.95.2.1/24 -p 80 -oG - | findstr "open"
However it will not be very effective since broadband ip addresses are online for short time span like a day or so. Pick the ip-address of any of them and open up your browser and type in http://59.*.*. * (the * should be replaced by the values from the ip you are using. A box will popup asking for username and password. Enter the username : admin and password : admin .There is a high chance that you will be able to login with that username and password. admin-admin is the default username and password that is set while manufacturing the adsl modem devices. What follows next is the modem administration panel. and the value field of this input element will have the password in plain text. input type="hidden" name="connection0:pppoe:settings/password" value="password" id="uiPostPppoePassword"
So getting username passwords wont take even 2 minutes and is easier than sending a mail. And this exposes the weak security of bsnl broadband users. Well this is not a weakness but more of a mis-configuration which leads to insecurity. If you understand networking then you would probably realise that it was merely logging into the remote administration service of the modem and nothing else. This was not really hacking but a simple search of victims who are absolutely ignorant of their weak security on the internet. Most routers have an option where remote management can be disabled. In other words, you can only connect to the configuration interface from the internal network, not the WAN(Internet) side. You would definitely want to make sure remote management is not active to protect yourself. Note : On SmartAX MT880 eventhough Remote Management is disabled , it permits remote logins from over the Internet. So change your mode administration passwords immediately. The problem is that the professionals at Bsnl are ignorant of such simplicity of networking and unable to advise the users or guide them to take proper security measures leaving their customers and themselves absolutely unsecure. Now lets check a few more options related to this issue. 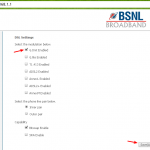 A bsnl broadband modem can be used in two modes. In the RFC Bridged mode the device behaves like a modem device that is attached to your computer and you use some dialup software to dial into the isp through this modem. This is PPPOE from the PC and the adsl device is a good modem. This mode is safer as the username password are on your pc and nothing is on the modem. In the PPPOE mode the adsl device becomes a router - a distinct network device with many features enabled. In this mode the username password is stored in the modem which will dial to the isp and establish the internet connectivity. The computers will just connect to this router who would be their primary gateway. Now this is the mode where the risk exists. If remote administration is enabled the remote users from the internet can login to this modems administration panel. Now the main problem is the default admin username-password which most users dont change due to ignorance. "admin-admin" is pair that works in most cases giving you full access to the modems internals. What follows next is simple as drinking a glass of orange juice. 1. Use RFC Bridged mode if it is sufficient for you. 2. Change the default admin password of your adsl router/modem. This way even if your modem is discovered by hackers, they shall not be able to login into it. 4. Disable remote configuration feature and remote logins of all kinds. 5. Check your broadband usage on a regular basis and compare it with your own surfing schedules to check whether someone else has used it or not. If suspiscious usage is indicated then immediately change your broadband password as well. Spread the security awareness to your friends and other relatives who are using Bsnl broadband and encourage them to secure their internet connectivity. Bsnl has implemented a technique called Port Binding, which will bind a particular username to its phone number. Then that username will only work via that phone number. Hence the above hacking method will become ineffective. Port Binding is slowly being implemented by Bsnl over all cities and soon would cover the whole Broadband network across the country, making it more secure. Disclaimer : The information provided below is for educational purpose only. The author is not responsible for any misuse of the information and discourages any illegal use of it. The best technique for hack BSNL broadband. Can I use my country broadband? Please reply me on Email. I am looking for it. I can even hack the complete computers database and shut down that thing sitting at the comfort of my own house… God bless ya’ll BYE!!! hey bubs try to use hide ip software to fool…………..
after scanning from port scanner found that all the ports are dead….plzzz tell any other port range which workzz…!!!!!!! you need port 80 to be open to login to remote router. try scanning other ip ranges. anyone got a way to use bsnl id and password on 117 ip series? the ip range 117 is nib2. just scan the ip range in the same way and you can find live hosts. you get error 691 because port binding has been implemented and now a username will work only from the phone number/line to which it is allotted. 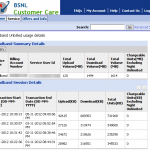 bsnl has implemented port binding. if you try to use someone else’s username/password it would give an error 691.
useless and scrappy s*** !!! yeah, you are right. this hack has stopped working since bsnl implemented port binding. Please tell me whether the router is honeypot or not!!! 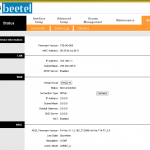 no its not a honeypot, those are real routers of bsnl users. don’t even try any userid even if u get connected because its traceable that which userid is being used at which phone no and take it 4 sure that u will be caught and will be dealt under the law of cybercrime!!!!!!!!!! Nothing of these will work. BSNL is no more a fool. yes , they implemented port binding. bro my download speed iz only 25-28 kbps plz send me a working username and password…[email protected]! this will work with any router whose port 80 is accessible. hey guys everything is bogus now.nothing is working.. you can get tons of id and password using above tricks,but not a single one will work.Every time it will show you 691 error message..
yeah, because bsnl has implemented port binding. When put the ip address it shows the page is not available. I tried many IPs. Please help me. I also put the scan range 59.95.0.0 – 59.95.255.255. No IP opens. nmap is even faster if used with the right options. hi I am jagan i am having many usernames and passwords but how can we use those???? plz tell me a range of ips plzzzzzzzzzzzzz!!!!!!! i have the username&password how can i use this,i am confussing about this,can u help me,pls…..
looks like every one is correct…as i have expirienced it all. error 691 is a genuine problem.. needs to sorted out anyone with with exact solutin plz post that over here only……. i have got the user name and password. but don’tknow how to use them to access internet.